While it might seem that beauty is in the eye of the beholder, two universal factors transcend cultures. Discover how symmetry and proportion relate to our perception of attractiveness. Everyone agrees on whether a face is attractive. Men, women, different cultures – all agree. And there are two key factors that determine attractiveness. Symmetry is seen in any image or object whose sections reflect each other. This is known as 'reflective symmetry'. Some objects reflect themselves in more ways than one, across many lines of symmetry. Our faces have only one line of symmetry – directly down the middle. 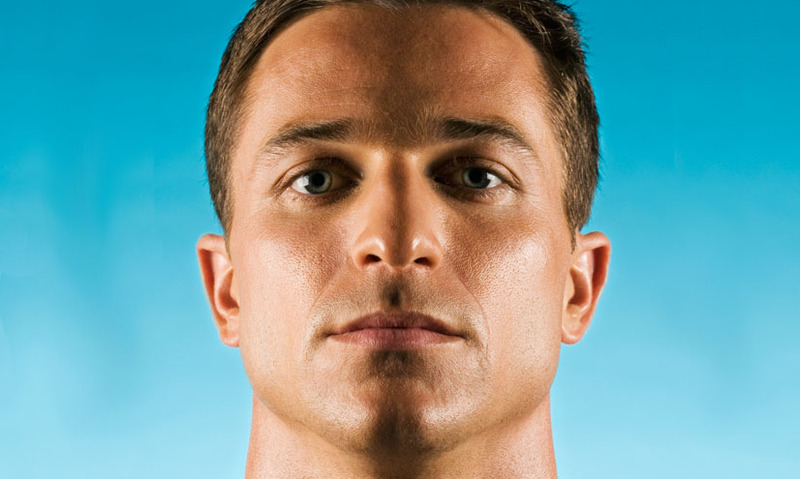 The more similar, or symmetrical each side of the face is, the more attractive we find it. The less symmetrical, called asymmetrical, the less attractive it is deemed to be. This is partly because symmetry can be an indicator of health. Our DNA is sequenced to make our bodies grow symmetrically, and asymmetrical parts of our bodies often originate from disease or infection. Dr. Vilayanur S. Ramachandran University of California, San Diego – "If you have a parasitic infection, or if you have um... congenital malformation of some kind that has distorted your face, it's going to produce an asymmetry and when you detect something asymmetrical it's no longer attractive. You don't want to mate with it." 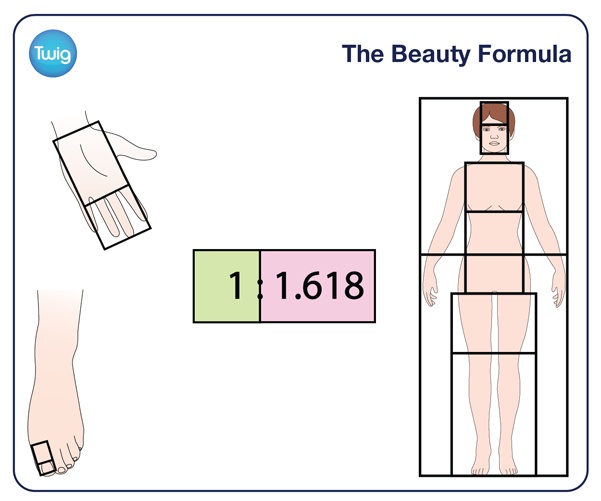 The second factor influencing beauty is the Golden Ratio. Mathematicians found that splitting a line into two parts so that the longer part divided by the shorter part is equal to the total length divided by the longer part – allowed them to work out the Golden Ratio. Scientists have revealed that this mathematical ratio, which works out at 1:1.618, is central to our perception of beauty. Dr. Stephen R. Marquardt UCLA Medical Centre, USA – "People started noticing it, if a face was beautiful, the width of the mouth was exactly 1.618 times the width of the nose. If a face wasn't beautiful that wasn't the case! Dentists noticed that the upper front tooth was 1.618 times as wide as the next tooth over: the lateral incisor. So that was kind of amazing, this number would come up over and over again!" The Golden Ratio is visible in many parts of human anatomy, from our toes hands and torso. And the closer we fit the proportions of this blueprint, the more attractive we appear. Beauty, it seems, is not only in the eye of the beholder, it's directly linked to our attraction to symmetry and proportion.